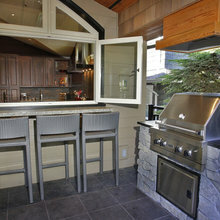 We are happy to build at many budget levels however we only have one quality level. That is to deliver the best we can within the budget provided and time frame requested. 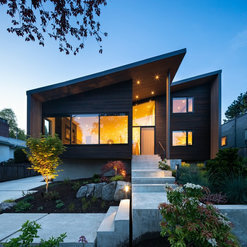 18 Projects for Blackfish Homes Ltd.
19 Reviews for Blackfish Homes Ltd.
Now that the dust has settled (literally and figuratively) on our new home, I wanted to write to you from our family. 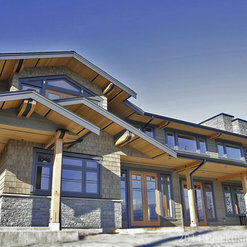 Over two years ago we embarked on this journey to design and build on our property. It wasn’t a decision we took lightly, as we had lived in the 1926 house that stood there for nearly ten years. It no longer met our needs, however, and houses we did see at the time for sale were either out of our budget or poorly built. Stu, David, Rob, Murray, Nikki and the rest of the Blackfish team: I was warned that building a house can be an extremely stressful endeavour. David: From the moment I met with you and you promised me spreadsheets and itemized invoices, we felt more at ease. Your organizational skills were paramount in this build going well. You said it would take longer and cost more, and you did not lie. I respect that. Stu: Your recommendations and ongoing progress reports during the demo and foundation were awesome. We kept all of the pics. The kids still talk about knocking down the deck and throwing rocks at the windows. I always felt I could ask you and get straight up recommendations. Murray: I really enjoyed talking with you on site and having your wisdom and experience in building our home. It was great knowing you and your team were there and I knew we didn’t have to worry about what was happening on the ground. It would be done right, or recommendations would be made by you on ways we could to do it better. I have meat in the freezer ready to trade for fish! Rob: I don’t even know where to start. Initially, I was concerned we weren’t going to have Stu as our “man on the ground” (given we had a family connection), but I can’t say enough about you as a project manager. 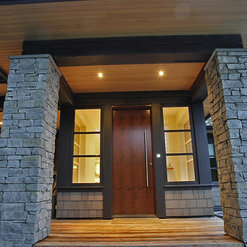 Your attention to detail, calm character, and desire for quality craftsmanship have built our dream home. More than anything, I always felt you had a solution for our problems, and if you didn’t you would find one quickly. 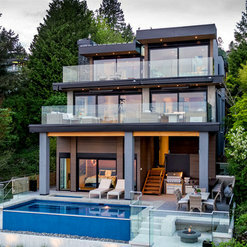 Dealing with clients in emotional and stressful situations, while building their dream home, cannot be an easy task, and it is one you have seemingly mastered. Many instances during our meetings, I knew my emotions were running high, and you were always there to get things done, and talk me off the ledge. I hope to be finally finished with “punch lists”. I would not hesitate to recommend your team to anyone building a house, and we feel lucky we chose you as our contractors. I am sad to leave our house in the morning, and happy to return at night. That truly makes it a home. 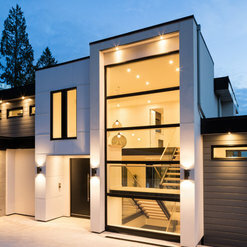 We recently completed our custom home build with Dave and Blackfish Homes in West Vancouver and could not be any more pleased with their work. We chose Blackfish based on their excellent reputation and having great rapport with Dave during our meetings. Two of the key factors we considered was responsiveness as we were still living overseas during the build, as well as cost controls. Both Dave and his team had intimate knowledge of the City's myriad of rules and regulations, which allowed us to get through permitting easily. The experience of working on numerous difficult builds shone through, especially Mark the site foreman, because of the topography of the lot and the inevitable unforeseen challenges along the way. Mark was on-site throughout the whole build and is just an amazingly responsible, knowledgable and friendly person and an absolute joy to work with. Our completed home exceeded our expectations and Dave + the team anticipating so many things that we wouldn't have considered. They are always contactable and have been diligent in following up on the odds and ends. While the project was a bit later in being finished, it wasn't all due to the contractors as we had a very rough winter and other unforeseen issues (such as an old oil tank they found during excavations). Was a great pleasure working with you and Jobina on your home. Thanks again. 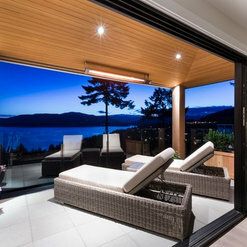 Blackfish team built our beautiful home in West Vancouver, we were very pleased with their attention to details and quality, always found a solution when we faced challenges :) they are very professional, knowledgeable and reliable. Could not have asked for a better company to build our home. Blackfish built our dream home. They were professional, courteous, tidy, timely and felt like family by the end of the project. We were super busy with work and little ones during the build and it really felt like it was happening in the back ground and we were always in good hands. It was a pleasure to work with you both. Such a beautiful home and family. 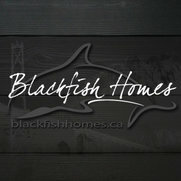 Blackfish homes built our dream home and we are so very pleased with the quality of work and service by the team! They provided us with many options and we felt very confident with their ideas and opinions along the way . They have a great working relationship with suppliers, contractors and their on site staff. They are trustworthy and they spent as much time as we needed on ideas we presented to them and always came up with helpful pointers to meet our needs. Deadlines and budgets were always discussed and dealt with in a positive and successful manner. We were living in our home within 13 months and they continue to be reliable and helpful with any items in and around the house. I highly recommend Blackfish and would love the opportunity to work with them in the future again. Thanks to you both. It was a pleasure to build your home and get to know your family. We look forward to staying connected with you as well. Blackfish built a new home from scratch for our family. We were new to the process and knew nothing about building a house....we are so pleased we chose Blackfish and really believe we couldn't have found a better builder. They guided us every step of the way without the process becoming overwhelming. Blackfish produce the highest quality work and craftsmanship and were both on-time and on-budget. Nowhere were corners cut and they were always available to answer questions, discuss options and make really great suggestions. Their project management skills are fantastic and we loved their focus on making sure our house was "green" not only to minimize our carbon footprint but also to save us money on energy bills. Blackfish are professional, courteous and highly knowledgeable about all aspects of their trade. They do the majority of the work themselves to maximize the quality of the finished product and where trades were hired these were also of the highest standard. I would only ever hire Blackfish if I were to build another house. Thanks to you both for letting us build your wonderful home. It was a real pleasure for us and our team. Thank you for such kind words, we look forward to a long friendship with you both. Enjoyed very much working with Dawn early to set the plans then David/Kevin during the construction phase. They listen well and we had really no issues (aside from typical delays due to unforeseen issues and shortage of trades). We hired Blackfish to build our new home. Their professionalism and attention to detail is unmatched to others I have seen. 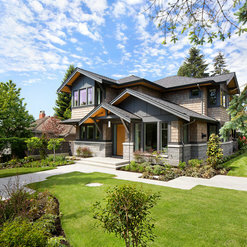 The attention to home efficiency and overall home comfort is also something that sets them apart. Thanks to you both, It has been a real pleasure for us as well. Hired Blackfish 2 yrs ago for a main floor renovation (Kitchen; bathroom; new floors; minor extension). Workmanship, professionalism, managing to timeline & budget were excellent. Recently we had an issue with flooring (product not the installation) once Blackfish was involved we got the floor replaced (including moving of furniture; repainting; baseboards replaced etc.)... looks as good as new. thank you Blackfish (Okko & Dave!). 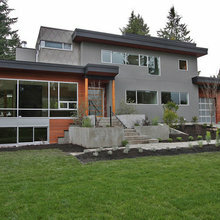 We hired blackfish and team for a major 7 month Reno of our home and they met all our expectations, which included keeping the project on time (they were off by a week) and on budget, and to build our home with high quality standards. Their staff, from their office manager to their Forman to their carpenters, were are very professional and friendly and really went out of their way to help us. All their subcontractors were also very professional and we were overall very happy costumers. One of Blackfish's strongest positive attributes was their ability to problem solve and give excellent customer service, which is why we are giving them our highest recommendations. 19 Ideabooks for Blackfish Homes Ltd.
Blackfish Homes Ltd. answered a question: what material is used for the dark trim on the ceiling? 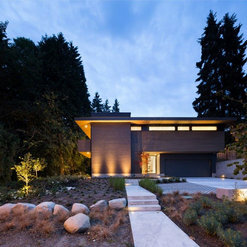 Commented: Outstanding house! 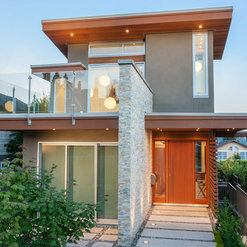 What are the stucco and wood stain colours?Unfortunately we don't have records of the colour's used on the project. 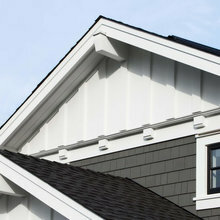 I do recall the siding to be a stock Sikkens product. Commented: Love these doors, where are they from? Thanks!They are a white oak door. We bought from our local door supplier. Commented: Where can I find this gorgeous fixture?Dinah, we don't have the info on the light. You could try asking Andrea Rodman Interiors, she is also on houzz. Commented: Hi there, can you confirm the paint color on the cabinets?Sorry we don't have a record of the colour. Commented: What finish is on the white oak cabinet?Was a low sheen gun applied finish from our custom millwork provider.